pps/cb. Mohamed Alafkam, president of ITI (Int. 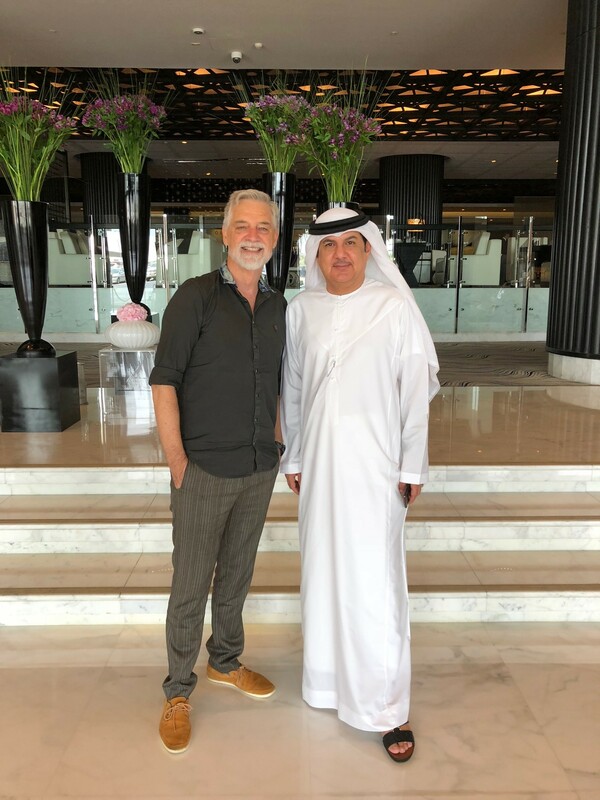 Theatre Institute) and Dieter Topp, president of EuropeCultureForum (KulturForum Europa), met again in Abu Dhabi. They talked about the UAE‘s new cultural activities as Louvre Abu Dhabi, Guggenheim Museum and Zayed National Museum as landmarks and tourist attractions. Mr. Alafkam who also is close to the Crown Prince of Fujairah, is involved in many projects and being close to the Crown Prince of Fujairah, is involved in many projects.